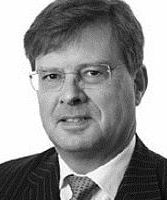 Geraint Jones QC has pursued a substantial chancery, commercial and professional negligence practice over many years and has specialised in these fields for some 25 years or more. In Silk he has been involved in long-running group litigation involving leaseholders in disputes with their landlord; a case of factual and substantial legal complexity. Ford v GKR Construction (2000) 1 WLR 1097. Leading counsel in multi-million pound commercial fraud case arising from the collapse of the Versailles Group. Geraint Jones QC is qualified to accept instructions directly from members of the public and professional clients under the Direct Public Access scheme.